#SunnyvaleCA Hello Sunnyvale, California! 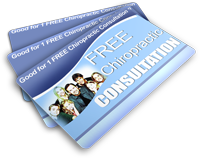 I want to help you, your friends and family deal with the pain and suffering that they may have from spine disc degeneration. There are a number of problems that you can have from this condition, including pain, tingling and numbness. You might also find yourself dealing with other problems, including the inability to walk or sleep at times. Did you know that you could even lose height if you have spine disc degeneration? It’s a fact! You could lose as much as two to three inches of your height because of spine disc degeneration, in addition to the pain and other problems. I have seen and treated many people who have been shocked that this has happened to them. I am able to help you in my Sunnyvale office with ongoing treatment that can help to relieve the pain that you might be feeling.Spine disc degeneration can interfere with work or other activities, as well as keeping you from comfortable sleep every night. The longer that you go without treatment for this condition, the longer it may take to get back to a good comfort level. I implore you to take a good step forward by calling me, Dr. Tropea, at (408) 329-9604 to make an appointment as soon as possible so that you can get back to living and enjoying your life in Sunnyvale.